In Upper Egypt, women have been largely excluded from the labour market and related social dialogue and decision-making processes. Most of them are engaged in informal home-based work characterized by long hours, poor returns, significant safety and health hazards, high dependence on intermediaries with limited skills and training opportunities. The project(within the framework of “The way forward after the revolution: Decent work for women in Egypt and Tunisia) ” project funded by the Ministry of Foreign Affairs of Finland, aimed at addressing these challenges including through an initiative that was implemented jointly with the Industrial Modernization Centre (IMC) a governmental authority under the Ministry of Trade and Industry,and the Centre for Egyptian Family Development (CEFD) – a local NGO, to enhance women’s entrepreneurship and social inclusion through cooperative enterprises in Aswan and the Red Sea governorates. Village- or product-based economic solidarity groups were organized to support women to work together instead of alone at home. 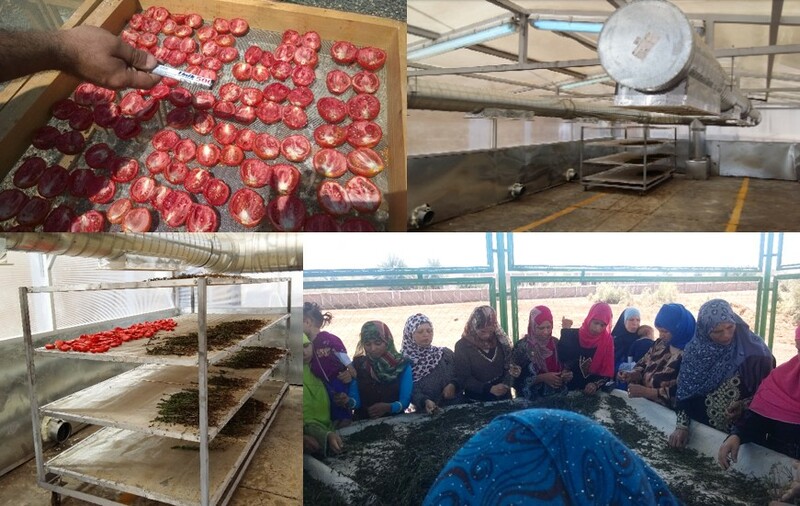 Eventually three cooperatives were formed by gathering these groups with an initial number of 400 women members: two women-only handicraft producer cooperatives (Ibdaa Badawiya and Ibdaa Ganoubiya) and a mixed cooperative in agriculture (Nafais) producing medicinal and aromatic plants. The administrative and legal assistance for issuance of personal IDs and formalization of businesses were also provided through the project. The system of internal production skills training was strengthened through the solidarity groups and cooperatives. The group leaders had a key role in providing peer-to-peer technical training to their colleagues. In addition, a series of entrepreneurial and cooperative management training sessions were provided using ILO tools such as Mainstreaming Gender Links in Value Chain Analysis , and GET Ahead for Women in Enterprise . Advanced technical support were provided to upgrade the quality of handicrafts and to increase the production capacities of the agricultural cooperative. Furthermore, marketing support was also provided for the cooperatives including on the development of branding and promotional tools, the acquisition of quality certificates, and participation in national and international exhibitions. The initiative has reached 526 persons (339 women and 140 men) as direct beneficiaries in addition to 800 persons from local communities in the target areas who were provided with services like judicial assistance to complete their personal IDs and register their own businesses. The major results of the intervention are found in the beneficiaries’ enhanced awareness of gender issues, their improved bargaining and negotiation power (abusive intermediaries are no longer accepted), and women’s readiness for political participation (several women are interested in running for local elections). In the case of mixed agricultural cooperatives, the challenge was to avoid the control of the cooperatives by men where women’s voices and agency would run the risk of being usurped. It was important to have a local NGO partner monitoring the fair distribution and engagement around decision-making, responsibilities, rights and resources between men and women. Based on these achievements and lessons learned, the second phase of the project is now under preparation. It will include a replication and up-scaling of this cooperative development initiative to extend it to other governorates or to link it with new national policy frameworks such as the National Strategy on Women’s Empowerment 2030 of the National Council for Women which has a local economic development component.